Enrique Vivoni has been named a Leopold Leadership Fellow, providing him an opportunity to take a leading role in sharing knowledge about engineering and science to help guide decision makers and promote public understanding. 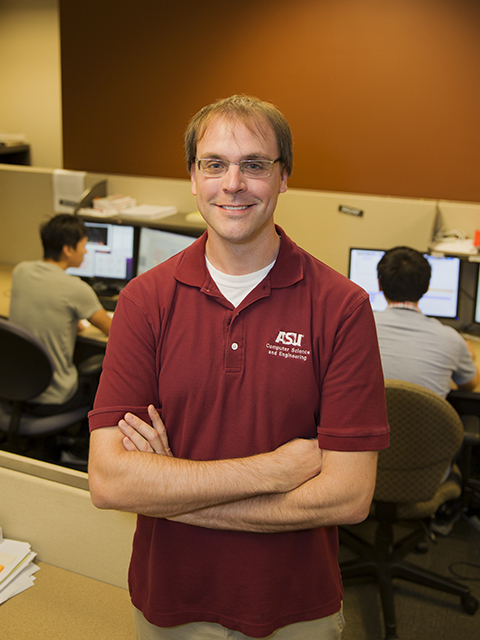 Photo courtesy of ASU Magazine. 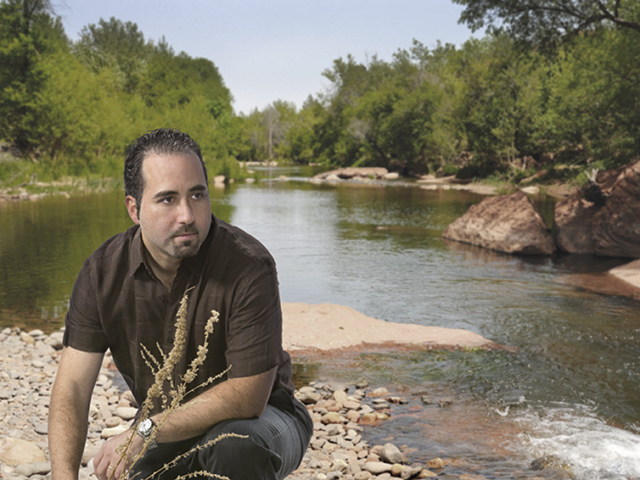 Arizona State University hydrologist Enrique Vivoni has been awarded a Leopold Leadership Fellowship –– a prominent North American program focused on communicating environmental science to a wide audience. He becomes one of 20 Leopold Leadership Fellows for 2015 selected for their outstanding scientific qualifications, demonstrated leadership ability, and strong interest in sharing their knowledge beyond traditional academic audiences. The Fellows will receive two weeks of intensive communication and leadership training in how to deliver information about their research to journalists, policymakers, business leaders and the public. 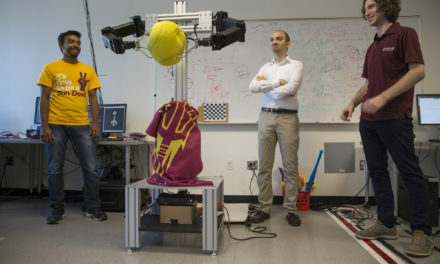 Vivoni is an associate professor in the School of Earth and Space Exploration and the School of Sustainable Engineering and the Built Environment, one of ASU’s Ira A. Fulton Schools of Engineering. He is internationally recognized in the fields of distributed hydrologic modeling, ecohydrology of semi-arid regions, North American monsoon studies and integration of engineering tools for advancing hydrologic science. Water in the southwestern United States and northern Mexico is a contentious issue that traverses disciplinary boundaries. Vivoni’s research activities focus on the intersection of hydrology and its allied disciplines – ecology, meteorology and geomorphology – for improving understanding of water resources in this region. A hallmark of his research achievements has been the collaborative studies of the shared water resources between the U.S. and Mexico. The Leopold Leadership Program, based at Stanford University’s Woods Institute for the Environment, is a competitive fellowship for outstanding academic environmental scientists who are actively engaged in outreach to decision-makers and the public about their work. 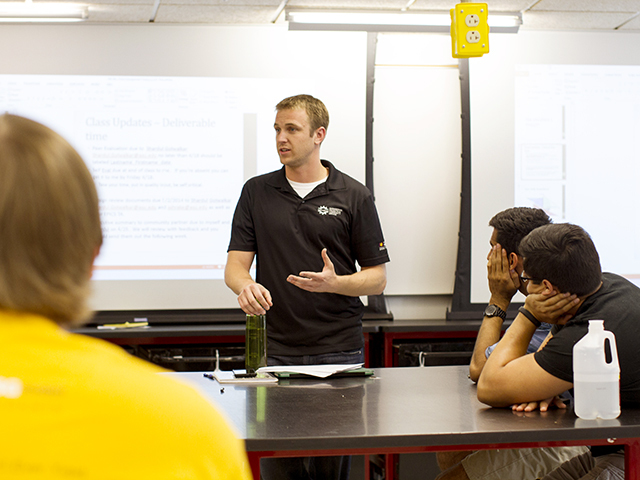 Each year, the program selects up to 20 midcareer academic environmental scientists as fellows. The program was founded in 1998 to fill a critical gap in environmental decision-making: providing the best scientific knowledge to government, nonprofit and business leaders, and the public, to further the development of sustainable policies and practices. The list of 2015 Fellows is below, and more information about the program is available at http://leopoldleadership.stanford.edu.